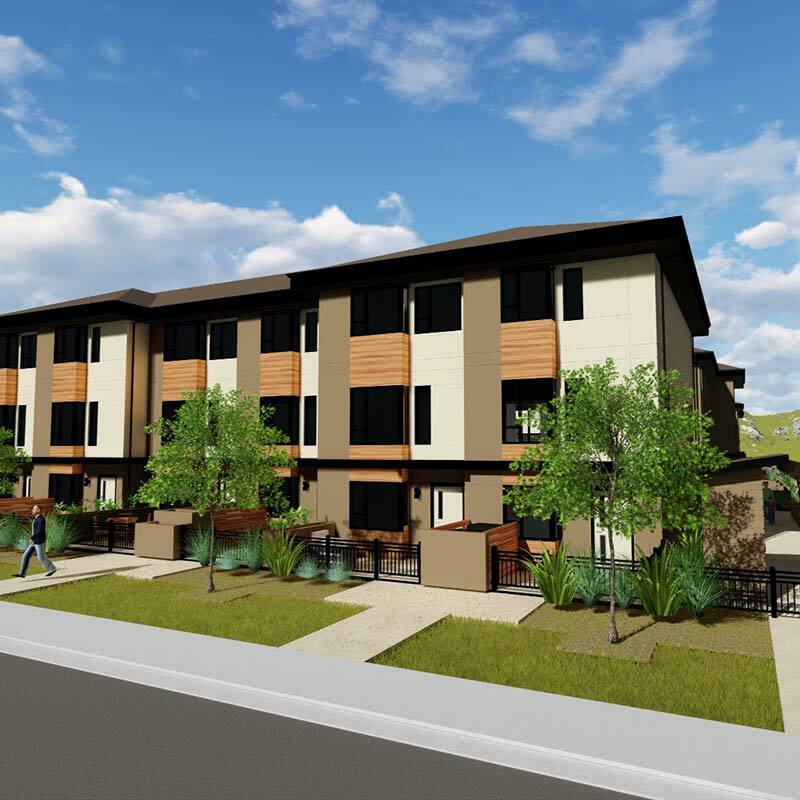 This 36-unit townhome project boasts on-site amenities such as community gardens, walking paths, and seating area courtyards. 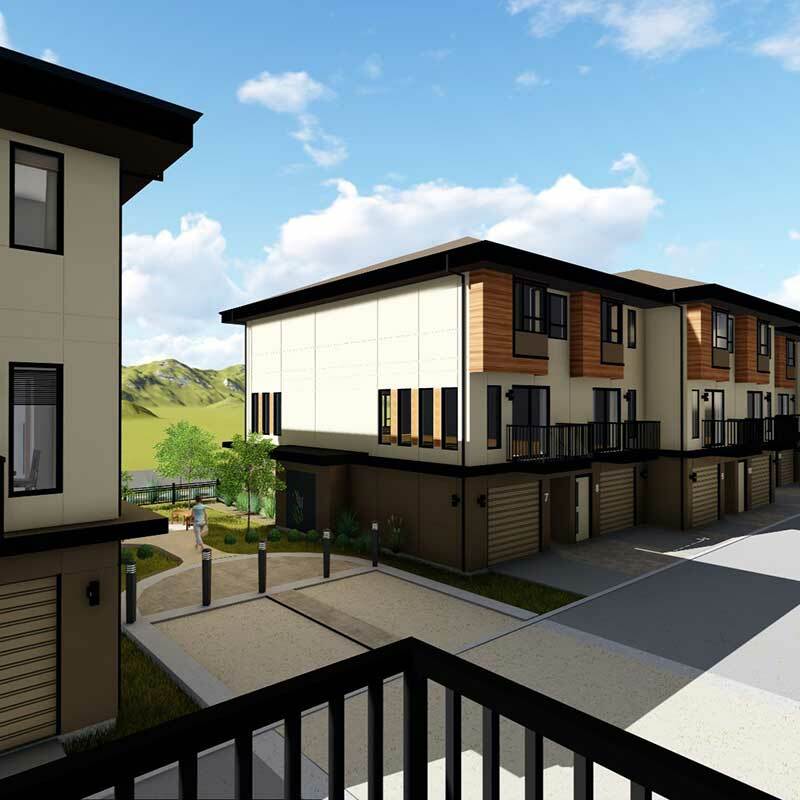 Townhome patios exit through individual decorative gates and landscape plantings onto shared sidewalk accesses. The buildings have been designed to appear welcoming from a pedestrian scale. Units are staggered 1.5m to increase articulation across the streetscape. The use of earth tones and wood textures make the buildings appear friendly and warm. Exterior materials consist primarily of fiber cement siding. These high quality materials will create a durable and low maintenance building. While the bulk of the building has a contemporary influence, sloped roofs have also been provided to match the existing neighborhood context of single family homes with sloped roofs. Site design is also focused on making this community enjoyable at a human scale. 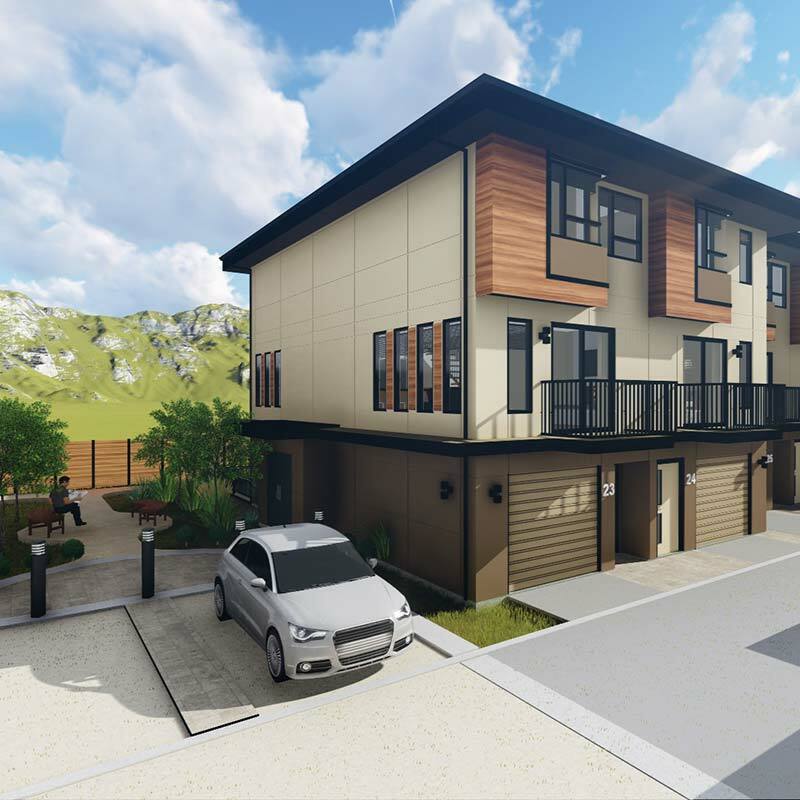 Townhome patios exit through individual decorative gates and landscape plantings onto shared sidewalk accesses. There is a rear shared walkway running North/South, which connects through the centre of the site to the nearby pedestrian network. This walkway passes through two small courtyards with generous landscape plantings and seating areas for relaxation. Community garden plots for residents are provided adjacent to the pathway at the North and South ends of the site.